This is my last show of the holiday season and it's going to be a good one! 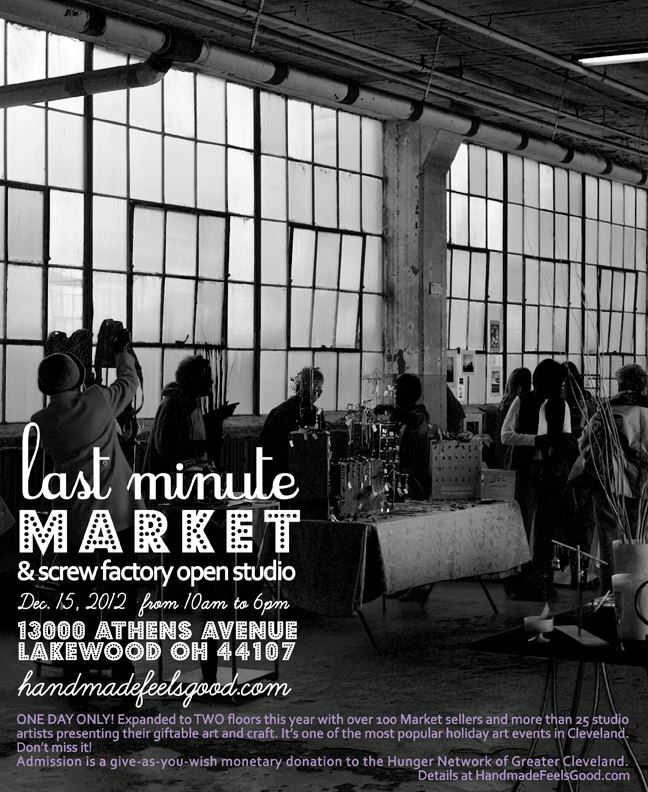 Come out to the Last Minute Market tomorrow for handmade goodness! There will be artists and makers galore with lots of goodies to finish off your holiday shopping needs. And, there will be a photo booth my friends! My favorite new part of these craft shows lately! So come and visit me with Three Little Bees (we are are sharing a booth) and will be there from 10-6! Did I mention there will be bow ties?